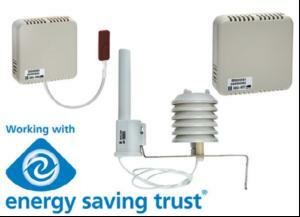 Wireless telemetry specialist, Radio- Tech has developed a new wireless environmental monitoring system that measures energy efficiency and building performance and is specifically designed to meet standards specified by the Energy Savings Trust (EST). Radio-Tech's products have already been selected as the primary data collection system for both the EST's Solid Wall Insulation field trials and the Technology Strategy Board's (TSB) 'Retrofit for the Future' project. Radio-Tech's products measure building data through a range of wireless sensors positioned throughout a property. As the system is totally wireless it requires no field programming and can be installed with minimal disruption to occupants. Sensors monitor variables such as internal and external temperature and humidity, surface temperature, carbon dioxide levels, window and door openings, electricity, gas and water consumption.